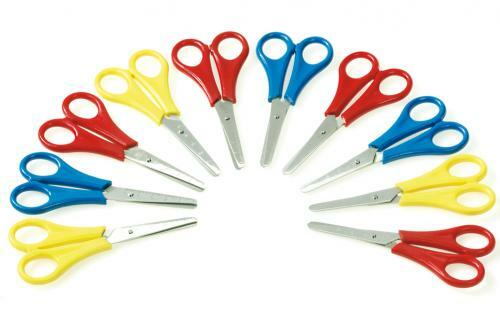 Teach the skill of cutting with scissors to the learners aged four years and older who prefer their left hand for using scissors. These scissors are designed for the small hands. They have steel blades and plastic handles,13cm.